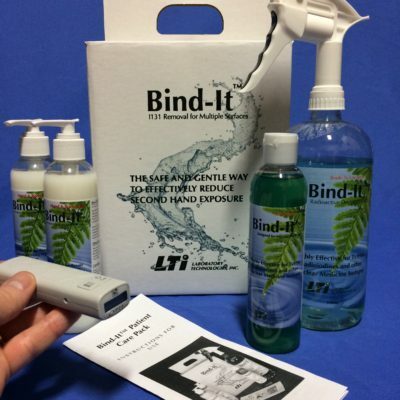 If you are having radioactive iodine treatment you need Bind-It. 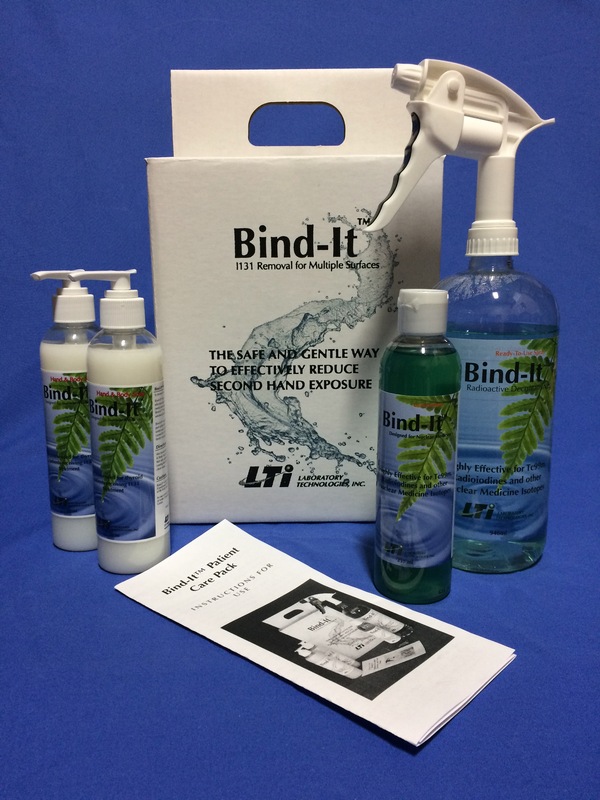 Nuclear medicine technicians recommend Bind-It. It’s a fact, you will contaminate you home isolation area. 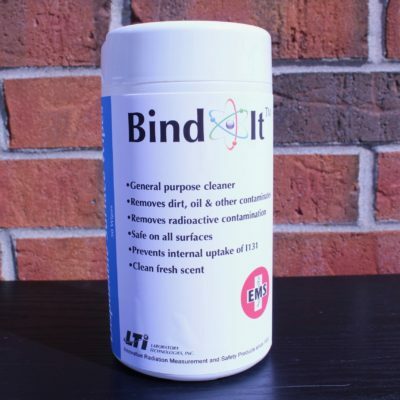 Only Bind-It is proven to remove Radioactive Iodine contamination. Protect your family with the same product hospitals use. 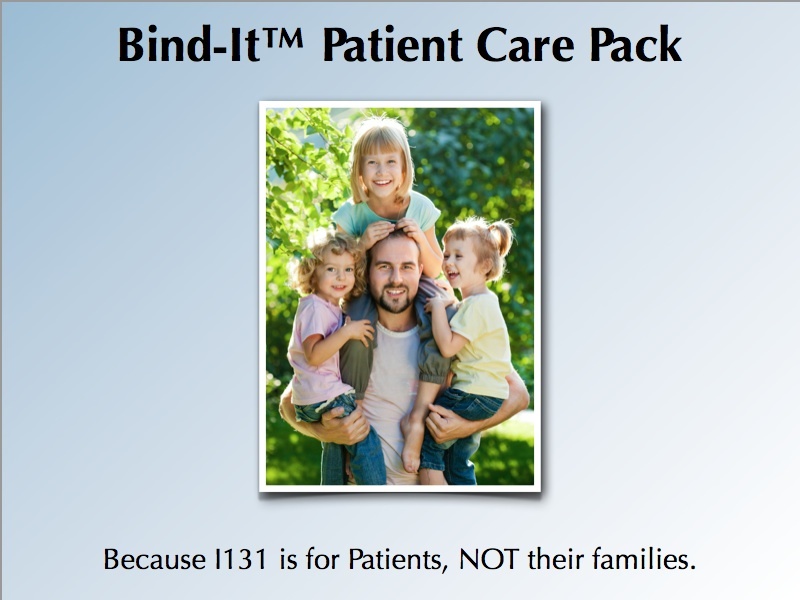 Order a Bind-It Patient Care Pack today. Your hands will become contaminated as you perspire, use the washroom and touch already contaminated objects. You need to wash your hands frequently. The 8 ounce size will accommodate many hand washings over the course of your post treatment period. 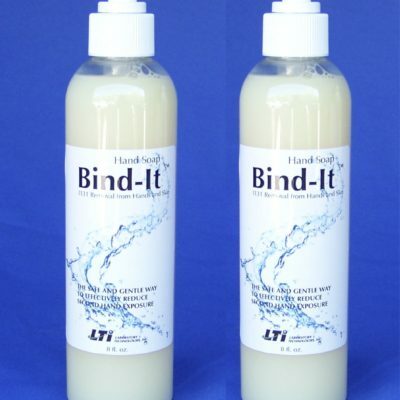 Further, Bind-It Hand Soap can also be used in the shower for additional safety.